Salmon by name, Salmon by nature. 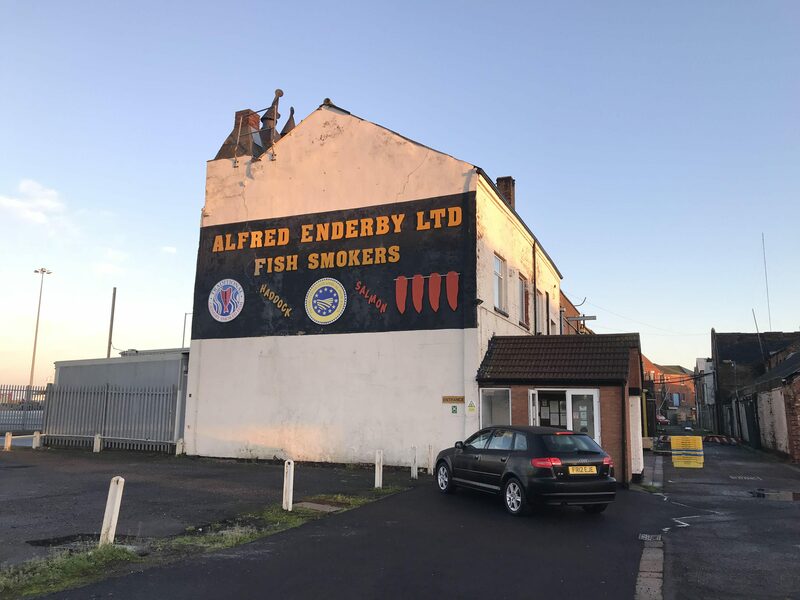 SalmonBusiness spoke to the owner of Alfred Enderby, one of the earliest independent fish smokers in Grimsby. In Grimsby, England, SalmonBusiness walked around the cobbled streets of Grimsby Fish Docks. Out in the cold, the early morning light shone on an impressive building from a bygone age. From one angle, it looks like someone’s terraced house, except with a huge sign painted on the bricks saying Alfred Enderby Ltd Haddock and Salmon. Curious, this reporter knocked on the door and walked in. There were heavy tar covered doors and a smoky aroma filled the air. 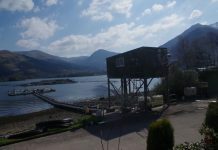 Upstairs in the office, the owner – a jovial man in a flat cap, explained in the nicest terms, that they would not be able to accommodate SalmonBusiness as it was – understandably – their busiest day. He said to call back later in the year. On his business card, it said his name was Patrick Salmon. 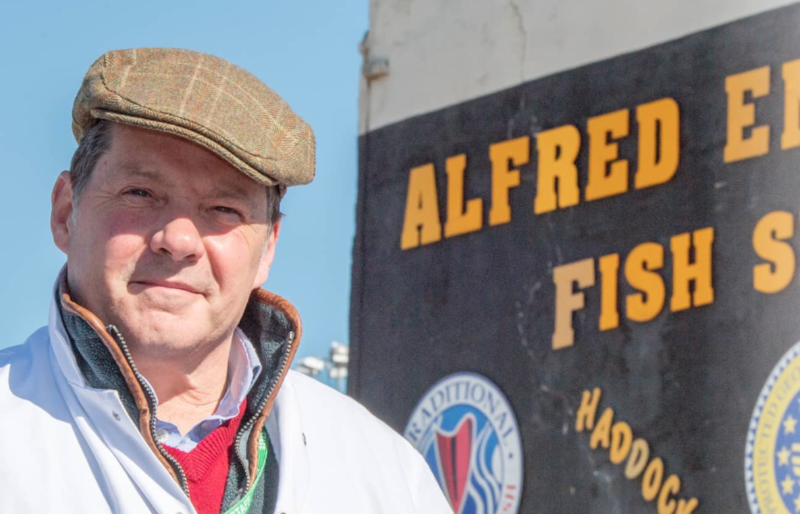 “Well, with the name “Salmon”, I’d have to be involved somehow,” said Alfred Enderby owner Patrick Salmon, acknowledging the namesake. The story of the smokehouse is one that’s been going for 100 years. At some point between 1917 and 1928, the building was converted to a fish curers through the insertion of ten traditional tall chimneys. In 1936, a young eager fish smoker called Alfred Enderby joined J W Stookes – an early Grimbsy pioneer smoker. 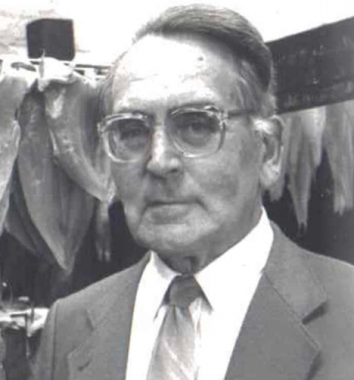 Enderby bought the smokehouse in 1936 – and it stayed in the family until self-confessed loyal customer Salmon bought it in 2016. Having been involved in agribusiness and food production before, taking on the legendary site was a natural step for the Grimbsy born businessman. But what followed next was a steep learning curve. “Two months after we started, we had the Icelandic fisherman’s strike, we had Brexit, which devalued the pound and made everything expensive, and whole a variety of other things. We haven’t had the locusts arrive in the building yet,” he joked. 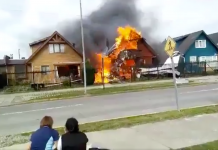 While those issues would test any new business owner’s nerve, last year’s record-breaking summer, the hottest in over 40 years – really shook the cold smoking smokehouse. “It’s all very naturally ventilated, there’s no artificial chilling, it’s all natural. As long as the night time temperatures are cold, then we are good to go. Though Grimbsy is good because we get this cold front from the Humber,” he said. “In the 1930s and 1940s, there was probably 70 smokehouses in Grimsby – as a curing method, as a way of preserving seafood and its shelf life. Today, there is only a handful. But we still operate this very special process, which is PGI protected – which reflects the unique way in which we do things. The smoked haddock is a protected food name,” he explained. It’s the same protection awarded to such foods such as champagne, Cornwall clotted cream and Melton Mowbray Pork Pies. “Our salmon is dry cured in salt – then it hangs in the house for a period. And we use a different kind of wood to most people, it’s very special.” The wood in question remains a closely guarded Alfred Enderby secret. 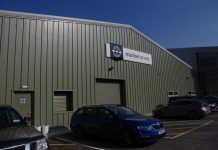 “Our master smoker has been here more than 45 years, our factory manager has been here for six. They know their way around, they are fish people,” he said. 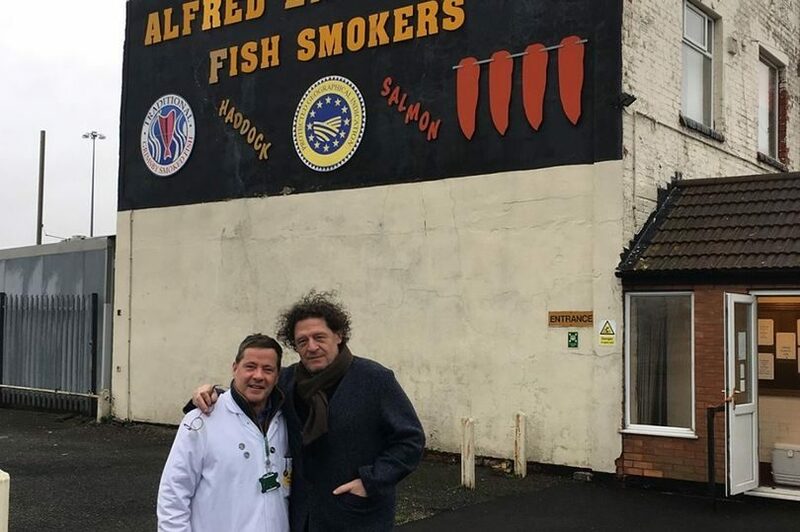 Famed chef Marco Pierre White told him that it reminded him of best-smoked salmon he had in decades. 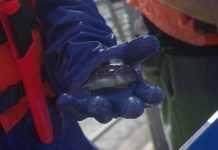 “It took him back seeing salmon being delivered back to the Gavroche in London,” said Salmon. White made his name around the world by becoming the youngest chef ever to be awarded three Michelin stars and serves up Salmon’s salmon in his Rudloe Arms restaurant in Bath, England. When buying, Salmon said that freshness was of the utmost importance to him. 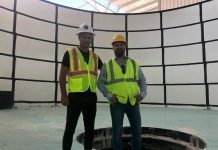 “I have a company that buys for me. We tend to buy Scottish superior. There’s some native Hebridean stuff which we are trying to get into – which is rather nice. 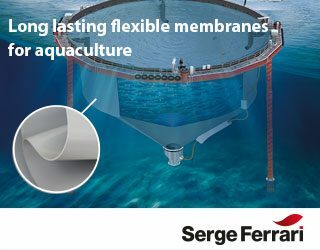 For me, farmed salmon is farmed salmon, I just need it fresh as possible – because my fish hangs in a house under its own weight,” he explained.